Pity the wretched weevil. Its childhood is spent alone, cramped, in a single grain of rice. The accursed beetle’s mother traps the child inside and only stays for long enough to seal the hatch with a plug of waxy poop before chasing whatever brute next tickles her ovipositor with a drop of pheromone. Fighting, clawing—gnawing—its way out to be with others of its kind at last, the despondent debutante finds herself not adored but gawked at, pointed at, and worse—far worse. She is chased. Hounded. She is frozen, sprayed, drowned and burned. This is the life of the weevil. Whole generations of the wretches were exterminated thusly at the Real Canadian Superstore in recent days. Several bags and brands of rice were found to be inhabited by the cuddly coleoptera. Employees, according to the Star, evicted the poor souls into the winter night. Thanks to ‘reader’ for the tip. No one but you could make this bug interesting, sympathetic and still a weevil. Who knew? 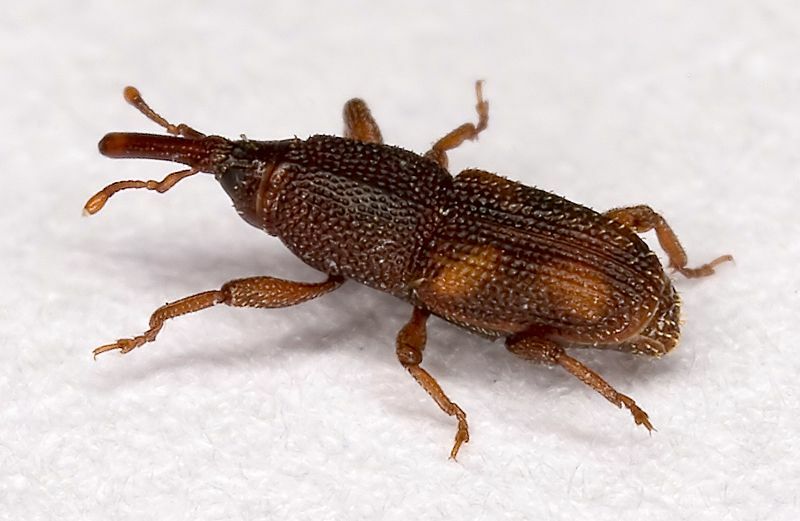 I thought Weevils were some kind of kid’s toy from the 70’s. Remember “Weevils wabble but they don’t fall down”? ?